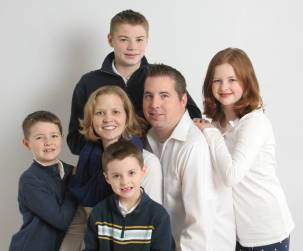 Michelle and Alan B. have been married for twelve years and have four beautiful children. In 2011, at the age of 28, Michelle was diagnosed with transverse myelitis, an inflammatory disease that affects the spinal cord. There is no known cause for this and the side effects have caused many areas of Michelle’s body to shut down during flair ups. During these flair-ups, Michelle’s treatment requires her to be hooked up to IV’s for hydration and nutrition, making it very difficult for her to work or care for their children. Michelle and her family have health insurance, but do not have a way to cover their living expenses during this next treatment cycle. Northway Christian Community Church’s goal is to raise $2,500 for Michelle and her family to help with their living expenses (rent, utilities, phone) during this next round of treatments so that she can focus on getting better rather than unpaid bills.